Due to the ongoing conflict is Syria, thousands of refugees have fled to neighbouring countries such Jordan and Lebanon. Muslim Aid’s Emergency Officer recently visited Lebanon to carry out distributions to Syrian families desperately in need. 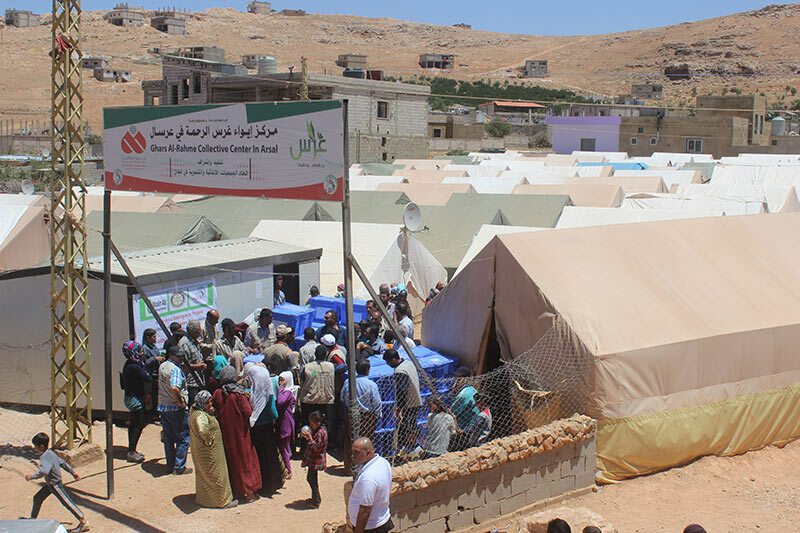 Up to 600 Aquaboxes were given to 600 refugee families living in camps in the Arsal area. A variety of essential items were included in the aquaboxes from hygiene kits, kitchen utensils, shelter items as well essentials for babies and children. Plans to distribute a further 400 aquaboxes to refugee families are underway. Muslim Aid also distributed 100 boxes of hygiene kits to 100 families in the Daud Al Ali area in Mount Lebanon. Each kit included soap, detergents, sponges, dental hygiene items, toiletries, sanitary items and ointment for children. The Muslim Aid team in Lebanon are also preparing to deliver 900 more hygiene kits to families desperate to keep healthy in their camps. Please donate generously for your Syrian brothers and sisters. Your donations go a long way to keep them alive.